Grace is at it again. 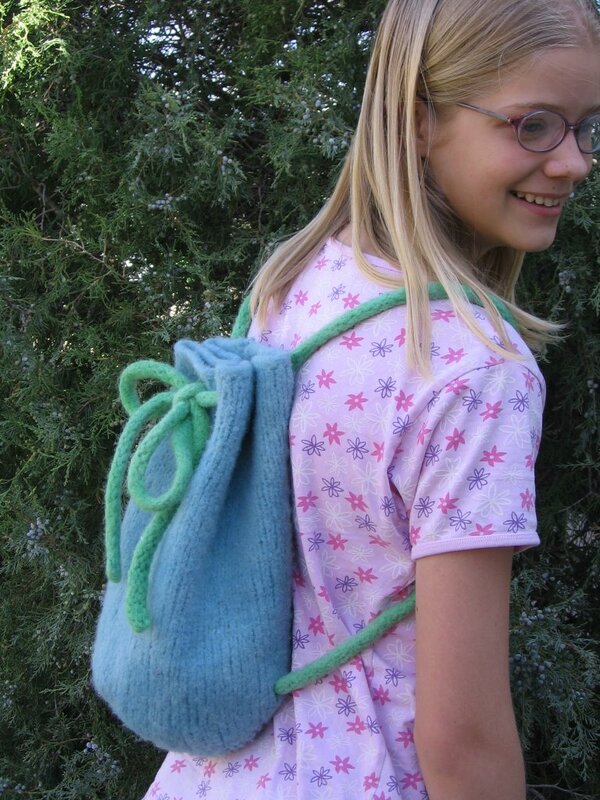 Here is her little felted backpack. Felting is so much fun, but it is rather discouraging to knit and knit and knit, only to throw it into the washer and make the item much much much smaller. But, look how cute this is! Grace dyed it with easter egg colors after it was completely felted. 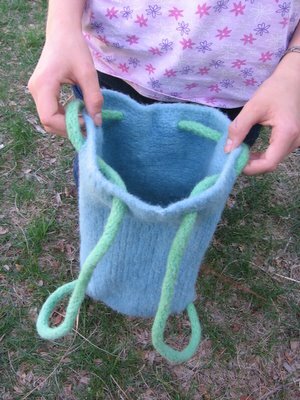 The shoulderstrap is one continuous piece of knitting, and it goes through the bag at the bottom. Knots on the inside of the bag keep it all in place. Grace is NO fan of I-cord, so she knitted a very long strip - I think she cast on 250 stitches? - and knitted 7 rows in stockinette, then let it curl, and cast off by catching the cast on row in the cast off row - which is how the cuff edge of Dana's Clogs were made. I've taken her lead and my I-Cord days are OVER! Grace bound off in the I-cord bindoff - and it's the perfect bindoff for felted projects. The edge shrinks right along with the rest of the knitting; it doesn't splay at all. You can get an idea of how she closes the bag from these two photographs. Cute, yes? Felting is part science, and a whole lot of voodoo. 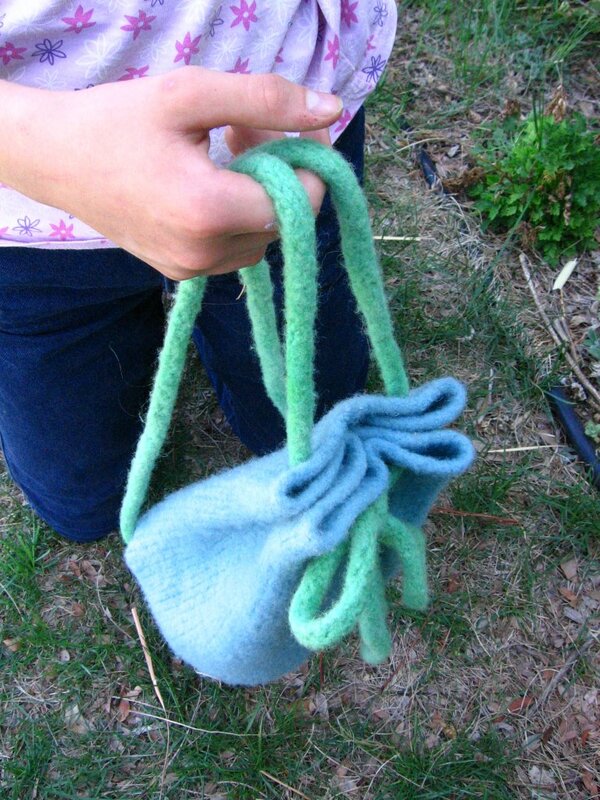 Grace first knitted a long, skinny bag, and it felted down to a ... bowl... it was very sad. So, she knitted this backpack, and it was an even longer skinny tube, and it turned out perfect. So, I next tried to knit a waterbottle holder, which is, of course, much skinnier than this pack. 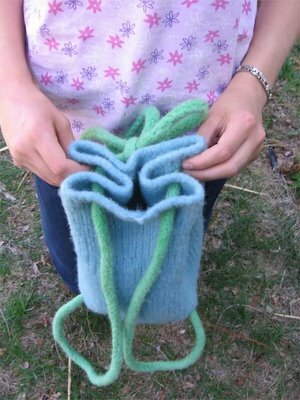 I used Grace's measurements, taken before and after knitting, to figure out how to make my waterbottle holder. Well, since it was such a skinny tube, it didn't get any shorter at all. I now have a lovely thermos bottle holder. If something is rather wide, then it will shorten a whole lot in the felting process - it will shorten proportionately more than it will decrease in width. 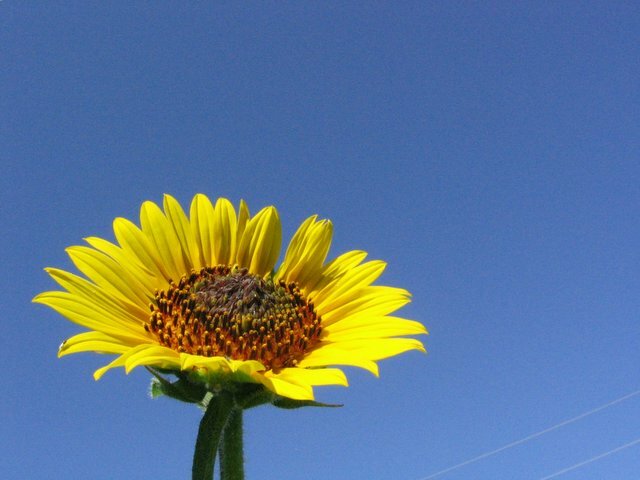 If it is not too wide to start with, then it will shorten and decrease in width in more-or-less equal proportions. Or, something like that. Sigh.